North Carolina Rabbit Rescue View other Rabbits for adoption. Jasmine Dwarf Hot Tot / Mini Rex Mix White / Black Spayed Female 4 Months old Weight 3.5 RR106 Jasmine was surrendered by her owner to Hoke County Animal Shelter. 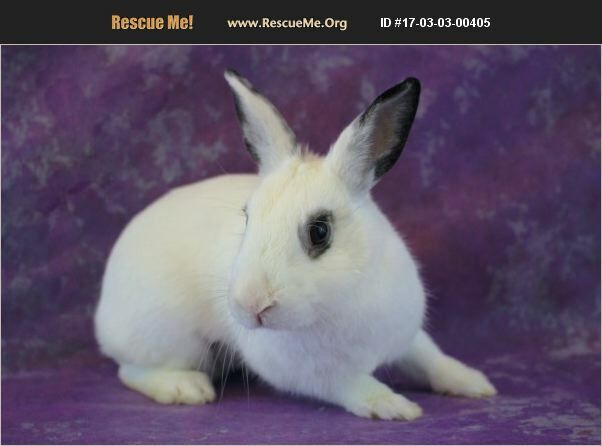 She was pulled by another rescue and transported to NHC Rabbit Rescue where she was spayed and placed up for adoption. Jasmine is very independent and does not like being handled. She will not be good in homes with small children and may be best suited being bonded with another existing neutered male.